Most people do not understand what lowered vehicles deal with on a daily basis, and all the possible problems that could happen. Taking roads miles out of the way just for a smooth surface to pass through on. For the Dennis’s, this has been a lifestyle, counting back about 2 years when the twins were introduced to the Volkswagen culture. They had bought two MK4’s, which consisted of JP’s 2002.5 GLI 24v VR6, and Beau’s 2001 Jetta 12v VR6. This was only the beginning of a long, low journey. After they had retired their MK4’s they had moved on to MK5’s. JP got another GLI, 2006, and Beau got a 2006 GTI, which were instantly transformed into vehicles which model their own, individual taste. When your necks break to take a second look, you know it’s the twins. JP dials in his fitment on a set of 18×9.5 Wagen-Wheels WW1’s wrapped in 215/40 for a nicely executed stretch. His GLI does not only hold an aggressive stance, it has many other modifications including, an AWE tuning catless down pipe, AWE tuning cat-back exhaust, black vinyl roof, and many more. The suspension is Raceland front struts with FK Koenigsport springs, and rear FK silverline struts with raceland springs. The black trim really gives this thing a nice, distinct look. Beau, on the other hand, went for a few less spokes, killin it on the Fifteen52 Tarmacs. 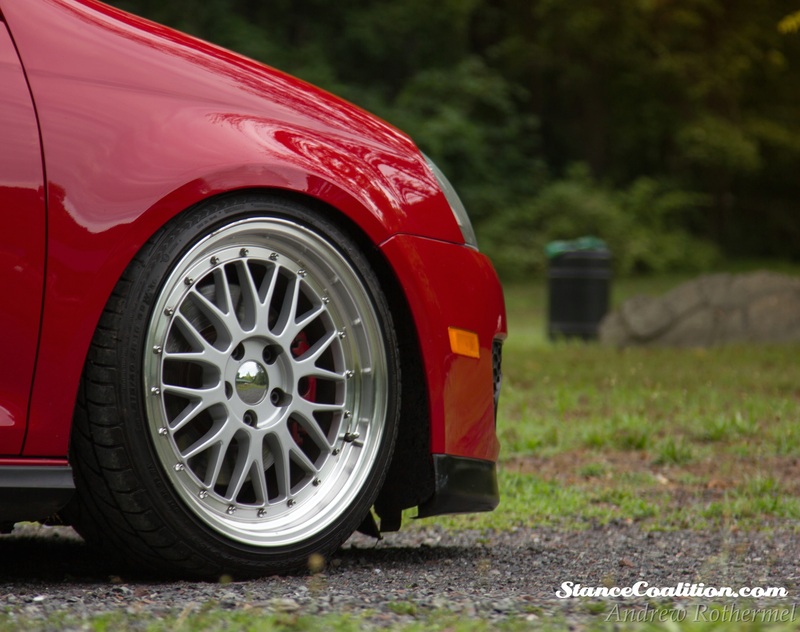 They are 18×8.5 wrapped in Nitto NeoGens 205/40, with the addition of 10mm spacers. The KSport V3 Coilovers are what keeps this thing from dragging on the ground on a daily basis. This machine is modded pretty heavily from bumper to bumper, including a Votex front, and rear lip. A few of the seemingly endless engine modifications include an APR Stage 1 Chip and an EVOMS Cold Air Intake. Adding on to the front and rear lips, he has his hatch shaved, his hood notch filled, and a badgeless grille, giving his GTI a nice clean look. Even with the fenders rolled he has some trouble turning, let alone driving. JP and Beau’s Volkswagens aren’t only a way to express their ideas and designs, but to prove that even brothers can stand out as car enthusiasts with a completely different style, while staying true to being low. We are hoping to see the progression of their cars in the near future, and hopefully seeing them down in H2O International!